Police arrested the manager of a construction firm here for using a teenager to help remove soil and debris contaminated by radioactive substances released in the nuclear accident in Fukushima Prefecture. Yuji Chiba, 49, an executive of the Moriyama Ward company, is suspected of knowingly dispatching a 15-year-old to Fukushima for the work, in violation of the labor standards law. 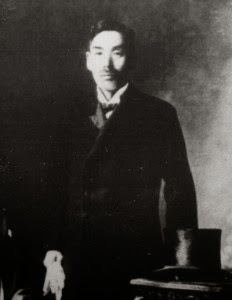 According to the Aichi prefectural police, Chiba sent the boy to a large-scale commercial facility in the Minami-Yanome district on July 22, 2014, to help remove soil and grass tainted by the disaster at the Fukushima No. 1 nuclear power plant in March 2011. Officials believe that such shady business dealings in the northern region may just be the tip of the iceberg. Chiba, who lives in Fukushima, acknowledged his involvement but downplayed the seriousness of the matter. "All I did was send him to a company conducting decontamination work so he could work part-time," he said. 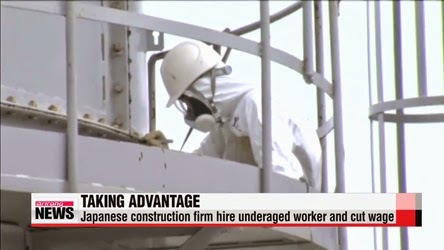 Chiba apparently told the teenager not to reveal his real age, saying: "Our construction sites do not allow minors under 18 years of age to work. If anyone questions you, tell them you're 18." The boy, now 16 years old, graduated from junior high school last March. He found the construction company through a public employment security office the following month and was hired to set up scaffolding. The youth was to be paid a daily wage of 3,000 yen ($25.25) for the decontamination work. However, he left before being paid after he was physically assaulted by Chiba. The construction company only told the teen that he would be setting up scaffolding and did not inform him that he would actually be doing decontamination work. Mitsuo Nakamura, a 63-year-old member of a Tokyo-based network that monitors radiation exposure among laborers, said: "A young, cheap workforce is attractive to firms (conducting decontamination work), but a number of them are engaged in malicious practices. The government must ascertain the reality of the situation, by examining what labor practices are like on-site." According to the police, other minors have been made to participate in similar jobs in the region. The Koriyama branch of the Fukushima District Court sentenced the president of a Fukushima-based construction firm to two years and two months in prison in October 2013 for having seven minors lie about their ages and participate in decontamination work. The involvement of criminal organizations in the business has also become a growing concern. The Yamagata District Court sentenced a member of one such group to eight months in prison, suspended for three years, in March 2013 for arranging the participation of seven people in decontamination work, despite lacking authorization to provide temporary jobs. The crime syndicate member apparently skimmed their wages, revealing a grim situation in which tax money for decontamination work is likely funding criminal organizations. In an effort to mitigate the problem, the Environment Ministry, municipal governments, police and businesses established a committee to discuss how to thwart the presence of criminal groups at decontamination sites.